Then it was off to Swarovski in Midtown to have champagne & yummy red velvet cupcakes with Tricia & John. 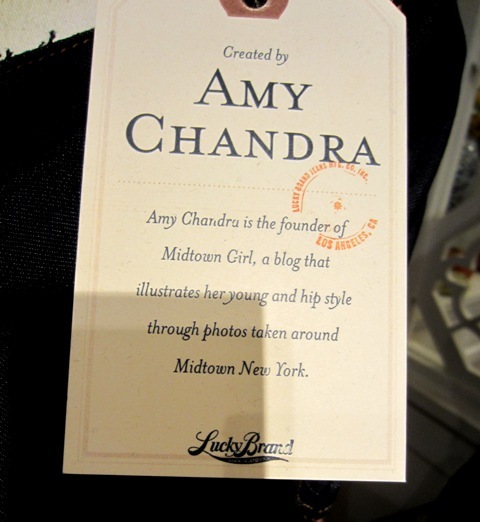 Afterwards, I headed to Soho for Lucky Brand’s DIY “Denim Jean-ius” competition judged by Tim Gunn. 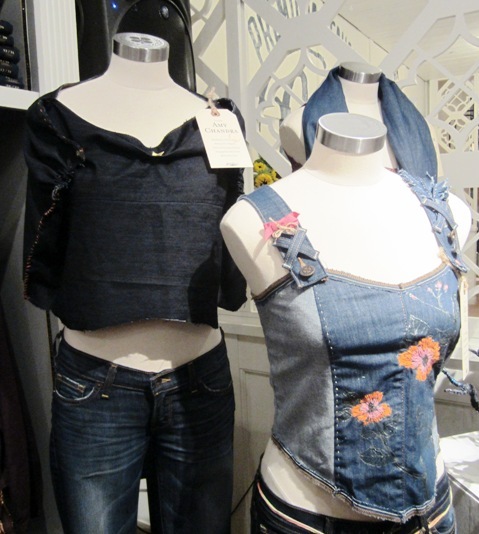 Unfortch I didn’t win, but I have to say it was AMAZE x 1o0 to see something I made on display at the store – totes my 1st Designer Moment!!! Look dahlings – my Lucky Jeans cropped cape jacket!!! Then, it was off to Lenovo to visit their exclusive fashion blogger Connections Lounge in Saks for some much needed social media R&R. 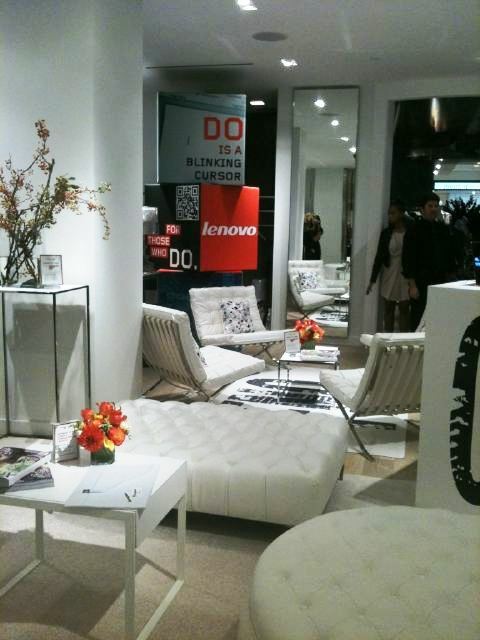 The PERF space for us Social Media Fashionistas to use during Fashion’s Night Out! You kicked arse with that DIY lady and hot pink is SO your color! Wow, superb weblog layout! How long have you ever been running a blog for? you make running a blog look easy. The whole look of your website is fantastic, as neatly as the content!